Our courses have been taught Internationally! Teacher and facilitator for Courses taught at Reiki Enlightenment. began about 30 years ago as I experienced energy pulsing into my hands along with intense heat, I found a release for this energy by laying my hands on my children, whom seemed to be ill when this occurred. We all have a ‘Chi Energy a Natural Life Force’ that flows through us, and we can learn to channel that energy for the benefit of supporting ourselves and others in their healing process. From early childhood I had memories of past life incarnations, one of those lives was as an American Indian. It was not until I became ill with M.E and Emphysema at 30, that I began searching for a cure for these conditions. Processing and healing with alternative therapies and healing past lives, were the main key to my healing process, over a six year period, both conditions had completely healed and opened my world to many healing techniques and tools for this process. It has been a long and exciting path allowing me to evolve and grow in consciousness. This path has become my whole life and Being, exploring many avenues to Enlighten the Soul. From the natural healing process, I developed my mediumistic abilities, which came naturally to me, along with colour, crystals and sound. Life seems to be lived in cycles, often either 7 or 11 year cycle, at the end of each cycle, we have an initiation, like an exam to see what we know spiritually and to test our commitment to our path. At the end of each cycle you become aware of a new shift occurring, which leaves you feeling, as if you do not know where to go or what to do next? Although nothing has changed? But you have passed your initiation an moved to a higher vibration and see life through new eyes, and there will be a whole new level of learning and understanding from this new viewpoint. 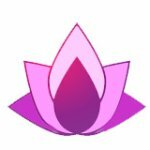 I remember training in my first Reiki I course in 1995, and wondering why, I needed to train in Reiki when I already had a natural healing ability! Little did I know then, that I would continue to train to Master Level, and later in the new upgraded system of Holy Fire Reiki, and the comfort and support from Reiki has been with me every day. I have met wonderful people and it has been such a pleasure to see then evolve, whilst I also have been sharing, teaching and growing in consciousness. The resistance to change is natural when we are developing spiritually, and if we take the challenge, we will rise up to a new higher level of consciousness, raising our vibrations and enhancing all areas of our lives. Training in Reiki really did shift my reality and gave me a whole new system for healing, which has continued to support me in evolution throughout my life, to this stage, it is a precious gift to humanity. The main structures for my healing work have been based on healing with Natural Healing, Reiki, Crystals, Colour, Sound, Shamanism, Reincarnation and Past Lives. 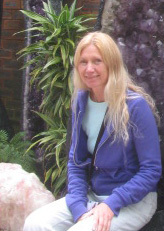 In 2002 I opened the International School of Vibrational healing, www.isvh.co.uk, and developed practitioner courses which the Complimentary Medical Centre, accredited, in Crystals, Colour and Sound, other courses with the Masters and Shamanism are also offered by the School. In more recent years, I developed a new therapy called DNA Repatterining, which re-programmes you patterns and belief systems from this life and past lives, healing deep root, illnesses, behaviour patterns and mental though paths. Hong Kong and Australia – Miracles Happen! An opportunity arose like a Miracle, and I found myself working and travelling for a period of time in Hong Kong and Australia! I was totally supported with helpful people, opportunities and synchronicities, which continued to appear, giving me faith and trust that my I Am Presence could, and was creating so many miracles in my life. The Rays of the Masters directly overly us and at times we can feel the intensity of Their Rays directing us, like an inner knowing, its then we know that we are supported, we can trust that we are being directed and that our own I Am Presence, is being taught by a Master who has been through the process of Ascension, and is there guiding and protecting us as all times. Throughout my life I have received downloads of information and been taught and guided by the Ascended Masters. Through my meditations and talks with the Masters, came the idea of restructuring my teaching methods of Crystals, Colour and Sound, into a system overseen by the Ascended Masters. Making these modules more accessible to those already trained in Reiki whilst they gain a Higher Vibrational Energy and a new skill, for those dedicated to the next step of their journey to Ascension. So was born Reiki Enlightenment, which will be directly overseen by the Masters of each Ray, as a Gift to us all, providing healing tools to remind us of our ancient wisdom and knowledge through Sound, Crystals and Creative Colour. I know that all areas of my life are supported by the Higher Realms, my guides, the Ascended Masters, Angels and Cosmic Beings! The many realms and dimensions which interact with us and support us in evolving every day! The Beauty of life is that we are evolving together, learning and growing and expanding the Light Network here on the Earth plane. We here at Reiki Enlightenment invite you to step on the path of Enlightenment and join us on the pathway of Ascension.